A new product that claims to 'hardwire' childrens' phones to gives total parental control over what their child's internet access is being introduced in the UK. The technology, described as 'the first of its kind' by its Irish makers iKydz, lets parents customise their child's access to the internet via an app on their phone. 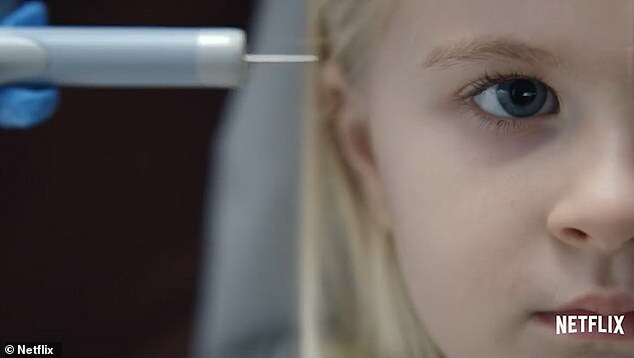 It is reminiscent of an episode of the popular sci-fi series Black Mirror called Arkangel, in which a paranoid mother has a chip inserted into her daughter's head to track her at all times. A new product that gives parents total control over what children do on their phones without actually monitoring their activity, is being introduced in the UK. 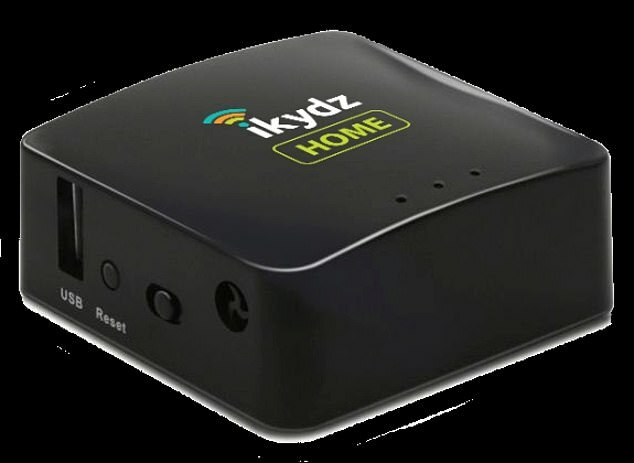 iKydz is a range of internet control products from the Irish company Zyalin and includes the iKydz App, the iKydz home hub device that can be directly plugged into the WiFi router at home, and an installable app on the child's phone or other device. The products works through a control app downloaded on the adult's phone, and an app set up on each of the child's device allows the parent to control individual devices separately. The control can operate over WiFi or 3G or 4G signal, whenever and wherever the child's phone or other hardware device is able to connect to the internet. The products works through a central control app downloaded on the adult's phone, and an app on each of the child's that the parent is trying to control. While it does not actually let parents monitor their child's activity, parents can set which sites and what time slots are off bounds for their child. The product once activated cannot be removed by 'tech-savvy children' unlike traditional parental control apps, according to its Irish maker Zyalin Group. Parents set filters and schedule access and time to each of their children's internet-connected devices that has the ikydz app dowloaded on the phone. Together they set up a system at home that can separately control each device connected to the WiFi network. Parents set filters and schedule access and time to each of their children's internet-connected devices that has the ikydz app dowloaded on the phone. The product once activated cannot also not be removed by 'tech-savvy children' on their own phone unlike traditional parental control apps, according to the makers. Zyalin Group Director of Operations Owen Van den Bergh said: 'There is an epidemic brewing in today's connected world. Children's open, unchecked use of the Internet is leading to a shift in young people's social interactions, often to the detriment of their mental health. Much like global warming, the world may not see the problem until it is too late. Arkangle is the second episode of the fourth series of the popular British TV series Black Mirror written by Charlie Brooker and directed by Jodie Foster. 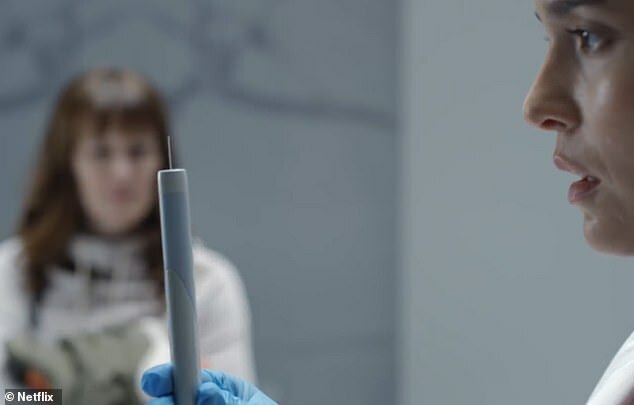 In the episode, a mother has a smart chip system known as Arkangle implanted into her daughter's brain after she goes missing and found again. The chip, which can be activated and deactivated, is used to track and monitor her activity in real-time. Just like the chip in Arkangel, Zyalin claims that its system and app can not be removed or overridden once set up, unlike other traditional monitoring apps. Arkangel is the second episode of the fourth series of the popular British TV series Black Mirror written by Charlie Brooker and directed by Jodie Foster. In the episode, a mother has a smart chip system known as Arkangel implanted into her daughter's brain after she goes missing and found again. The chip, which can be activated and deactivated, is used to track and monitor her activity in real-time. Just like the chip in Arkangel, Zyalin claims that its system and app can not be removed or overridden once set up, unlike other traditional monitoring apps.